[S37] Website Cheshire BMD (http://cheshirebmd.org.uk/) "MBC/2/35." [S70] General Record Office Indexes "Death Sep 1966 THOMPSTONE Frances E 78 Macclesfield 10a 341." [S1051] Website Lancashire BMD (http://lancashirebmd.org.uk/) "THOMPSTONE Ashlen WHIELDON Jane A 1910 Manchester, St. Ann & St. Mary Manchester Lancashire 85/1/422." [S45] Website FreeBMD (http://freebmd.rootsweb.com/) "Marriages Dec 1910 Thompstone Ashlen Manchester 8d 342." 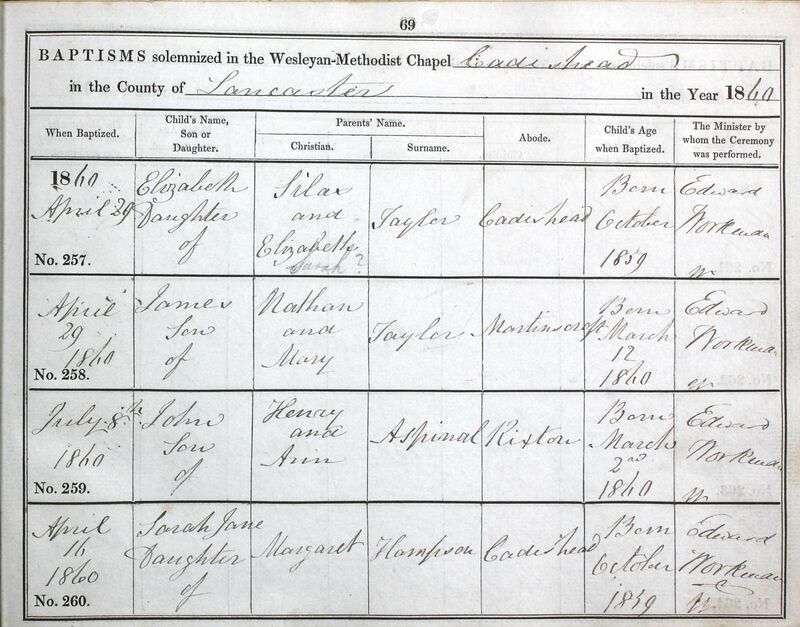 [S45] Website FreeBMD (http://freebmd.rootsweb.com/) "Marriages Dec 1910 Whieldon Jane A Manchester 8d 342." [S37] Website Cheshire BMD (http://cheshirebmd.org.uk/) "PRE/13/91." [S44] CMB Transcript, St James (Gawsworth), 1557-1837 "14." [S44] CMB Transcript, St James (Gawsworth), 1557-1837 "132." [S44] CMB Transcript, St James (Gawsworth), 1557-1837 "239." [S44] CMB Transcript, St James (Gawsworth), 1557-1837 "50." [S44] CMB Transcript, St James (Gawsworth), 1557-1837 "51." [S44] CMB Transcript, St James (Gawsworth), 1557-1837 "54." [S44] CMB Transcript, St James (Gawsworth), 1557-1837 "55." [S44] CMB Transcript, St James (Gawsworth), 1557-1837 "236." [S32] Baptisms, Christ Church, Southworth with Croft, 1833-1905 "87/691." [S32] Baptisms, Christ Church, Southworth with Croft, 1833-1905 "87/692." 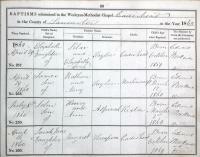 [S72] UK National Census for 1891 for UK, "RG12/3072 30 74." [S34] J R Bulmer BA ed. Christ Church MI "42."